Routine oil analysis is an effective way of gauging the condition of a lubricant and determining optimum change intervals — to get the most life out of the oil in use as well as provide maximum continuous protection of equipment. Register the equipment with the lab. This will help the lab identify appropriate tests for your specific application. Registration also facilitates trending. Use proper sampling procedures. Improper sampling may produce erroneous test results. Problems could be missed and go untreated, leading to costly problems later. Or conditions may be misdiagnosed, resulting in incorrect, unnecessary and money-wasting actions being taken to correct a nonexistent issue. 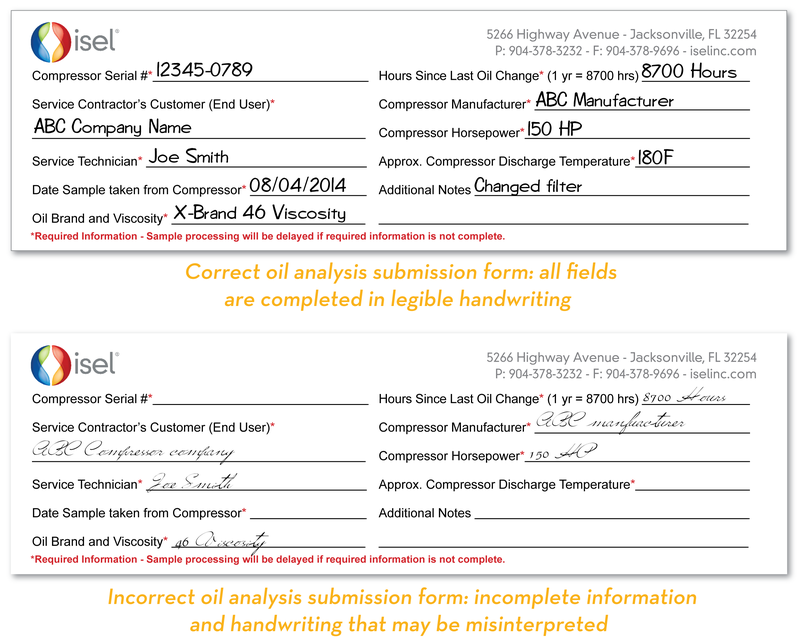 Provide complete and accurate information with each sample you submit to the lab. Missing or inaccurate information may lead to a misdiagnosis. Complete all fields on the submission form, including the specific lubricant in use, the component it services, the hours the oil has been in use, and more. Also ensure that the information is legible to help avoid misinterpretation. Submit samples promptly to the laboratory for analysis. Although a delay inherently has virtually no effect on the sample itself, it does increase the potential for contamination. Also, the condition of the oil in use in the equipment will continue to change over time. The more time that passes between when the sample is taken and when it is analyzed, the less alike the sample will be to the fluid still flowing in the machine. Therefore, the results of the analysis will have less relevance. Review and respond to test results appropriately. Promptly review the analysis documentation to determine what, if any, action is necessary. Use oil analysis regularly, not just when you suspect a problem. As part of a preventive maintenance program, regular oil analysis establishes a baseline for monitoring the condition of your lubricants and the components in which they are used. Much like routine, periodic medical screenings, the regular collection of analysis data over time may help identify trends and spot potential complications in early stages, so that they can be corrected and not become big problems. Collect samples when the lubricant is well-mixed and at normal operating temperature. Preferably, the equipment should run for at least 20 minutes prior to sampling to help ensure complete heating and circulation of the lubricant. Take samples from a well-selected point, ideally downstream of components but before the fluid passes through any filters. Allow some of the initial fluid to drain before collecting the sample, as the first fluid out may contain greater concentrations of water or sludge (since both are heavier than oil) than the oil in the system contains overall. Minimize contamination risk by using clean bottles and equipment (if equipment is needed) to collect the samples. Caution: If you use substances such as solvents, diesel fuel or even water to clean these items, flush the items thoroughly with the oil about to be sampled before actually collecting the sample. Results that may be interpreted as normal for one application might be considered abnormal, even alarming, for others. This unique identification helps ensure that test results are matched with the correct component. It also facilitates trending. What constitutes normal versus abnormal test results differs from one lubricant type to another. Results that would be interpreted as normal for a newer machine might be considered abnormal for an older one, and vice versa. For example, new machines may have high metal content due to residuals left over from the machining process. If the component was dormant for an extended period prior to sampling, there might be a greater potential for contaminant settlement. This may skew the analysis results and render them unrealistic. Sampling after the filter provides the best indication of the condition of the lubricant. Sampling after the filter point also helps indicate possible sources of contamination. On the submission form, fill out all required information — and do so correctly. The customer information you provide ensures prompt delivery of analysis reports to the proper contact person. The lubricant information you furnish tells the lab personnel critical details that may affect the interpretation of test data significantly. For example, degradation data that might be considered normal for oil that has been in use for 6,000 hours might raise red flags for oil that has been in use for only 200 hours. Details about the component and application also influence the interpretation of the data. 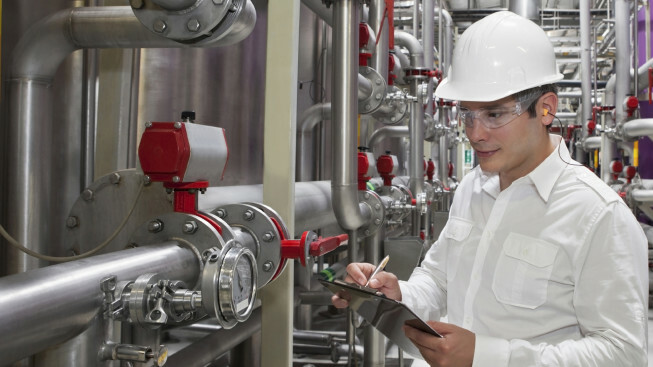 Once this information is recorded, it allows test results to be trended — the key to preventive maintenance and detecting potential issues early before they escalate. The information also influences the interpretation of the data. For instance, test results that could be considered normal and expected for lubricant used in an old machine that runs nearly constantly in a hot, humid, dirty environment might be viewed as abnormal for a fluid sampled from a relatively new component that operates much less often and in a cooler, dryer, cleaner location. Isel offers expert oil analysis for Isel-manufactured lubricants. Don’t bypass this excellent opportunity to enhance your preventive maintenance program. For more information about Isel’s oil analysis service and to request sample kits, contact us today. How Important Is Oil Analysis? Picture what often happens without oil analysis: A critical piece of equipment breaks down. No one saw the breakdown coming. Now, production is stalled until the component can be repaired or replaced. In the meantime, revenues suffer along with productivity, and customer satisfaction may drop if production deadlines are not met. All of these headaches can be avoided with simple, routine oil analysis.